Jeep lovers near Jeffersonville, Indiana, have all different financial backgrounds, which is why Jeep financing at Oxmoor Chrysler Dodge Jeep Ram is a custom process. A Jeep lease is an exciting option for drivers who want to sample the Jeep lineup before they commit, or for SUV enthusiasts who love to hit the trails in a new vehicle every couple of years. Another advantage of an auto lease is that it requires less money down at signing, and comes with a lower car payment than with a traditional auto loan, freeing up cash to choose a more sophisticated trim. Your SUV remains under warranty for the length of the term, putting a cap on your out-of-pocket costs. Downsides? Opportunities to customize with a car lease are limited, and fees can apply for exceeding your mileage agreement or for early termination. Call our team to learn more! Oxmoor Chrysler Dodge Jeep Ram has attractive lease deals on the Jeep SUV you've been dreaming about! 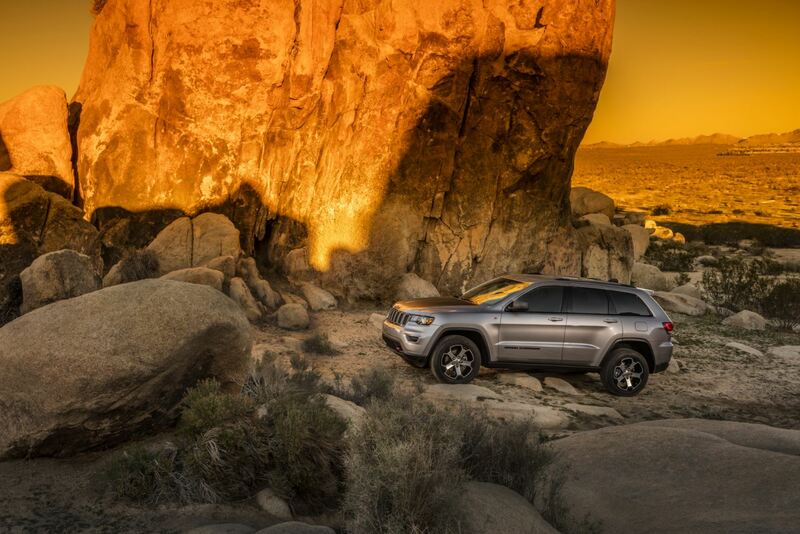 Check out the Jeep Cherokee, a rugged crossover that rides smoothly in the hills outside Jeffersonville, IN. The Jeep Renegade cuts a stylish profile and is awesome on the turns, while the Jeep Compass is a sophisticated and well-equipped choice for daily commutes and weekend adventure. Add a bit of luxury to serious performance with the plush Jeep Grand Cherokee, or go for the gusto with the accept-no-substitute thrills of the legendary Jeep Wrangler. You're sure to find the right Jeep vehicle for your needs. Schedule a test drive today! Already envisioning the Jeep accessories and suspension upgrade you want to add to your SUV? Own it with a personalized auto finance plan from Oxmoor Chrysler Dodge Jeep Ram. Get a head start with online tools to get the trade in value of your current car, estimate a payment, and get pre-approved. Our finance center near Jeffersonville, IN, will pair you with an auto payment plan that works. Call to learn about our bad credit financing solutions and buy-here-pay-here options.